In cooperation with scientists from the University of Tartu, the southern Estonian organic farm, Koivakonnu, has developed an innovative livestock farm that is characterised by energy efficiency, thought-out thermal regulation and the maximum use of passive energy. The Koivakonnu organic farm has been raising Hereford beef cattle for about twenty years. 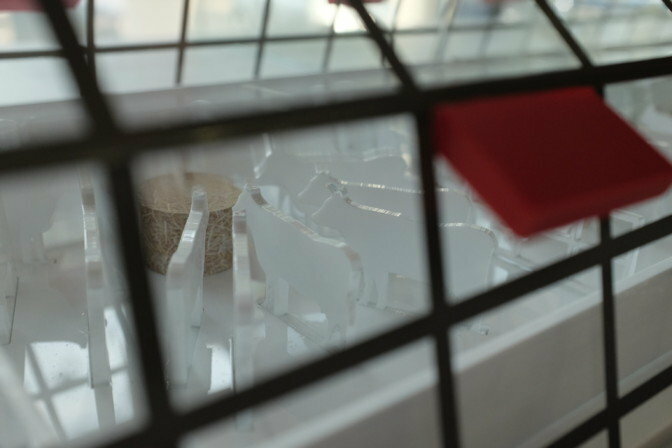 The new innovative barn helps it make its cattle farming more effective. The new generation, energy-saving conception barn creates value to the farmer throughout the year. Solar energy can be used to the maximum, the barn is filled with light, and energy is created using solar panels. In the summer, the building catches up to 80 per cent of the solar radiation or 850 watts per square metre, enabling farmers to create a profitable extra source of income for themselves. Thanks to the thought-out thermal regulation, the 500 square-metre building stays above zero degrees Celsius (32°F) during the winter. It takes only 700 kWh of network energy to maintain the right thermal conditions and for feeding, watering and lighting – at current prices, this makes about €70 per month. “The novel barn conception was developed because of a simple wish to provide better care for our animals. We want to give them the best possible growing conditions, even during the dark and bleak Estonian autumn and winter months. This is especially important for young animals,” Tõnno Olonen from the Koivakonnu farm said. During the summer, the barn dries 100,000 kilograms (220,500 lbs) of hay in 48 hours taking 200 kWh of network energy or about €20 per day. By improving the production processes, the entire electric and thermal energy needed can be created autonomously. “Generally, the unheated barns used in cattle farming mostly stand empty during the summer. With the new solution, the barn can make profit as a hay dryer or a well-ventilated greenhouse even during the months the animals are out on pastures,” Olonen said. In a microclimate with optimal air circulation and temperature, the production of beef is higher. In the future, cost-effective special solutions for ventilation can be integrated into the airtight building; these solution would reduce the greenhouse gases emitted from the building. It is also possible to raise the temperature above 60°C (140°F). 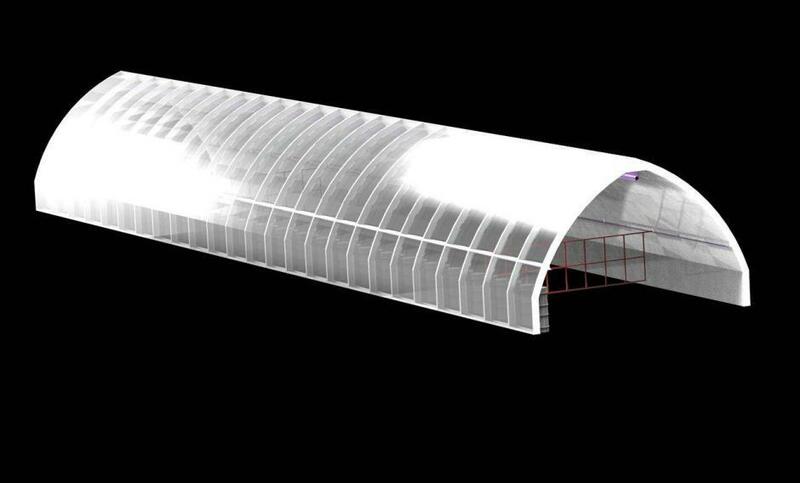 This enables to handle manure in a novel way and, after emptying the barn, to sterilise the building with the combined effect of high temperature and UV radiation that kills dangerous pathogens. According to Tauri Tätte, an engineer at the Tartu University Institute of Technology, the novel barn looks like a greenhouse full of light. The metal structure has been fitted with the most modern polycarbonate, and the technical content is complex and quite singular. The constructional solution for the novel barn was created by the Koivakonnu organic farm and the sustainable agriculture solution was developed at the lab of the Intelligent Materials and Systems scientists from the Institute of Technology at the University of Tartu. 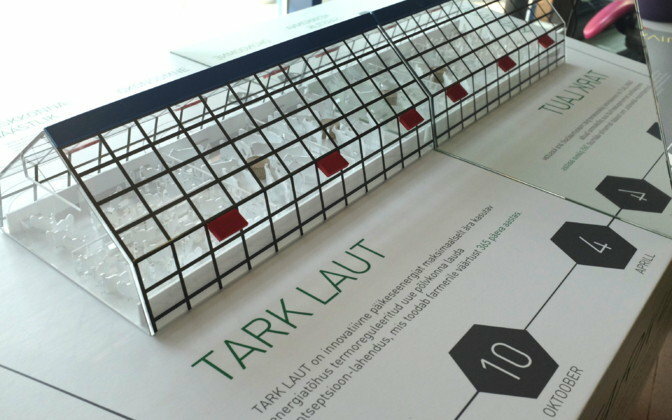 The model of the innovative barn can be seen currently at the SPARK demo hall in the Tartu town centre. This is an edited version of the article originally published on the Research in Estonia website. Cover: A computer image of the smart barn.